Gran Canaria is one of the most popular of the Canary Islands. There’s plenty to see and do, from trying your hand out at a variety of watersports activities to sampling Canarian cuisine at one of the local restaurants. 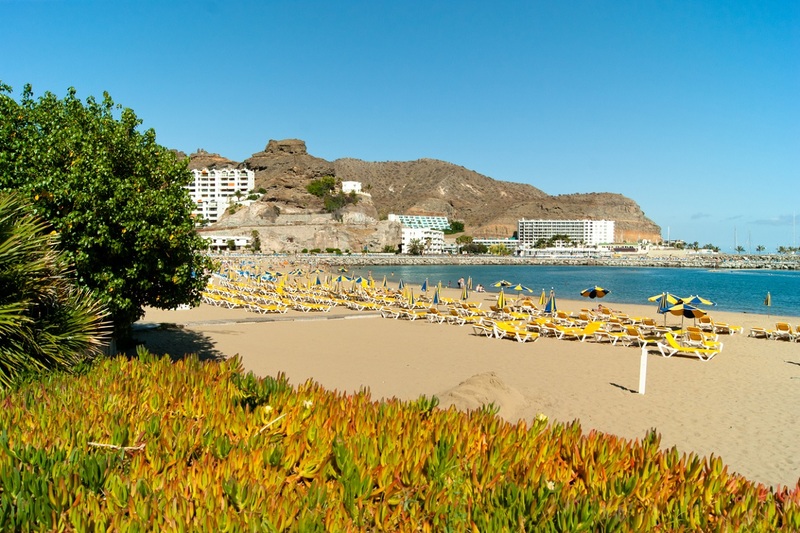 Take a look at our top 8 things to see and do in Gran Canaria. 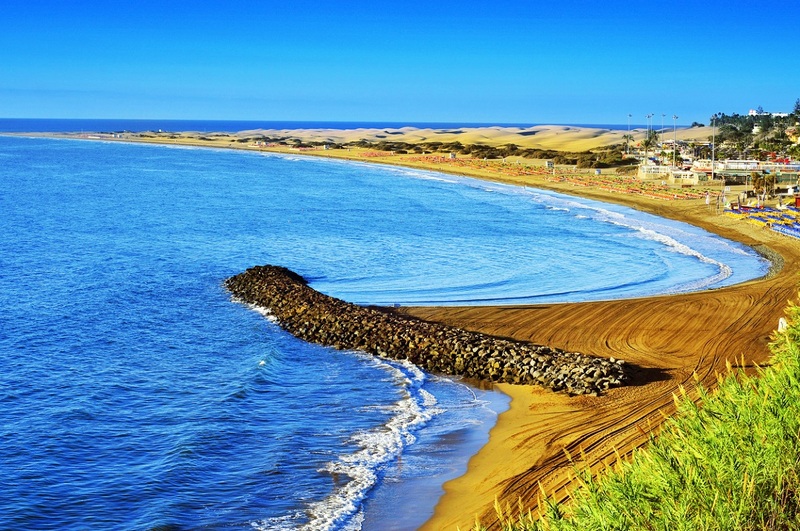 Playa de Maspalomas is located in the south of the island and is one of Gran Canaria’s most popular beaches, with golden sand and breath-taking sculpted sand dunes. Lined by a host of hotels and restaurants, it’s the perfect place to shop, stop off after a day at the beach, go out for dinner or simply have a drink by the sea. The sand dunes were declared a national park in 1994 and are protected. You can walk through them on the many walking trails but bring plenty of water and avoid the midday sun! If you want to explore the 6km of dunes but don’t fancy the long walk, you could try a camel safari which will provide you with the perfect transport. Roque Nublo is a rock formation rising more than 76 metres located at the centre of Gran Canaria about 44 km southwest of Las Palmas. An hour’s hike from La Goleta car park will get you to the top, where the views are spectacular. On a clear day, you can see across the horizon to Tenerife’s Mount Teide. Make sure to arrive at Roque Nublo early as the area gets crowded, especially on nice days. 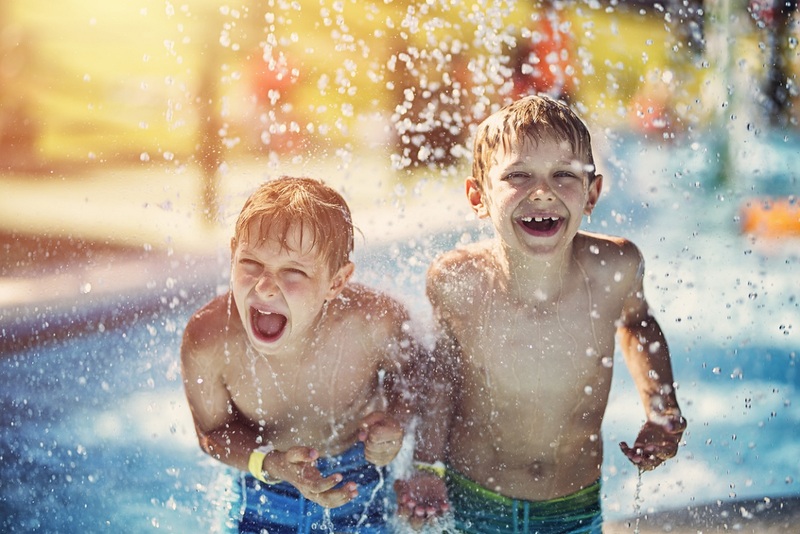 Test your nerve at one of Gran Canaria’s waterparks. The biggest one on the island is Aqua Sur, near Maspalomas. The rides here range from the near-vertical Aquamania slide to the gentle Congo River. Other popular waterparks to try are the Aqua Park in Puerto Rico and Ocean Park in Campo International. Playa De Puerto Rico on Gran Canaria’s south west coast has the enviable reputation of being the island’s sunniest spot. During high season it is bustling with holidaymakers enjoying a day out on the small, family-friendly and beautiful beach. A wide range of water sports are available, ranging from jet skiing, sailing, diving, big-game fishing and windsurfing, to leisure excursions such as pleasure boat trips along the coast, dolphin-watching cruises or trips in glass-bottomed boats to discover the rich underwater life of the area. A nicer place than it sounds, this town is just about the prettiest place on the island. 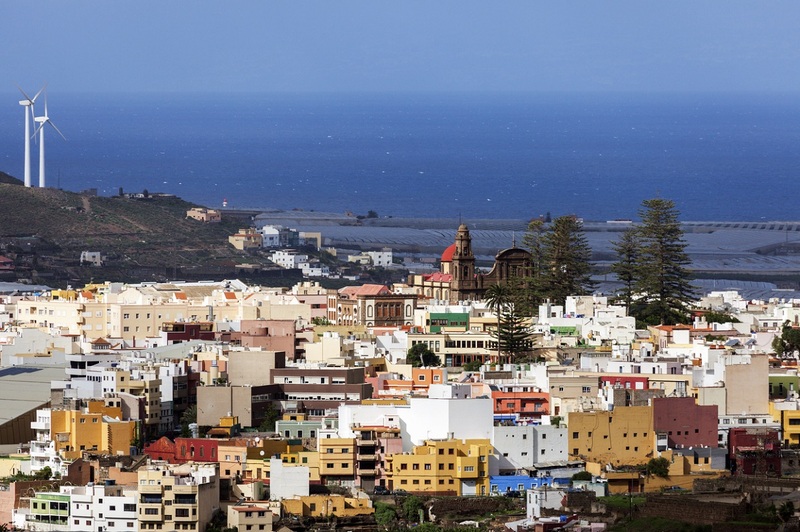 Full of delightful pastel coloured buildings with wooden balconies and only half an hour by car from Las Palmas, it’s a popular pilgrimage spot due to its basilica. On a Sunday you will find the Canary Islands’ oldest market. With 140 stalls you’re sure to find a souvenir to bring home. Head to the village of Galdar in the north of Gran Canaria to see the magnificent Painted Cave. An hour’s drive from Maspalomas or about half an hour from Las Palmas, this archaeological museum is known for its stunning wall paintings and other ancient artefacts. The museum building has been constructed around a Canarian aboriginal village and gives a fascinating insight into how the past settlers of Gran Canaria lived. Palmitos Park is one of the most popular attractions on Gran Canaria. A sub-tropical oasis in a lush valley of palm trees, it contains more than 200 species of birds, an aquarium, a butterfly house, a cacti garden and an orchid house. 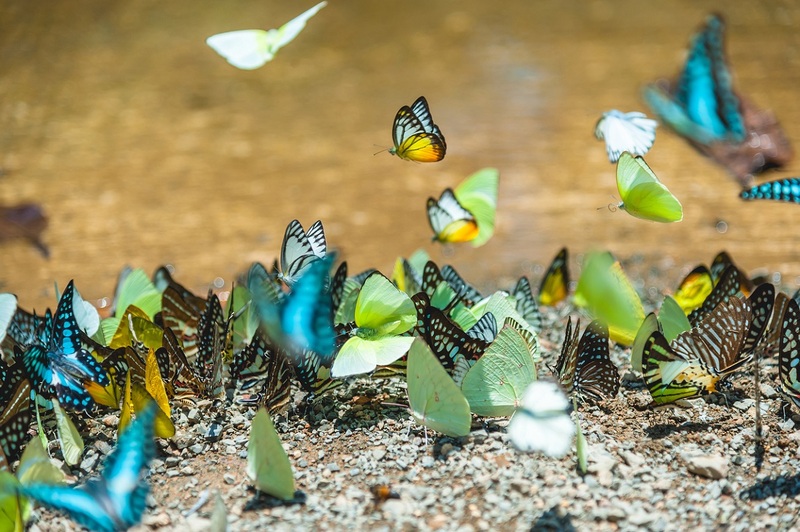 The Butterfly House is the biggest in Europe, with hundreds of exotic butterflies flying freely. Don’t miss are the breath-taking bird-of-prey shows, where eagles, owls and peregrine falcons swoop down over the audience in free flight. 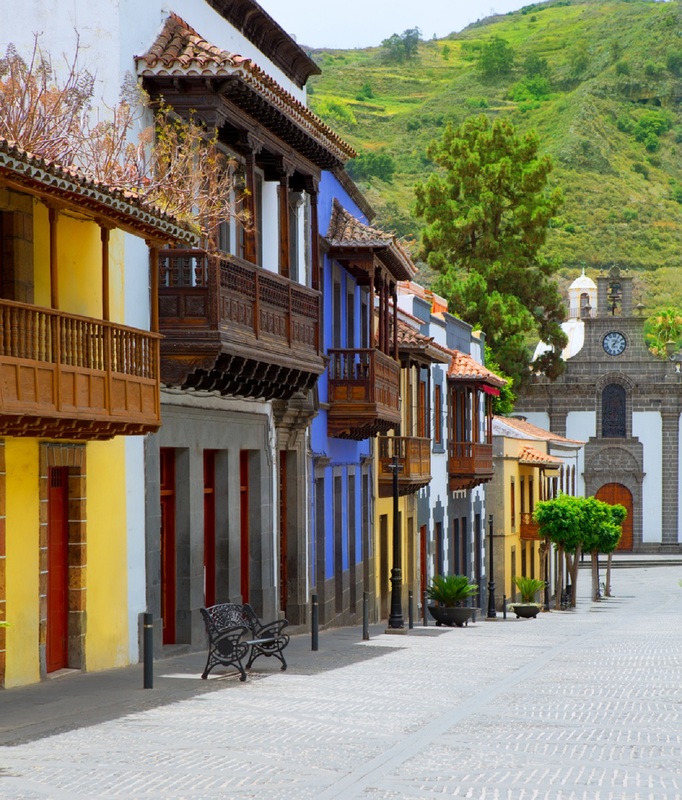 Take a trip to Agaete on Gran Canaria’s north western corner to the incredibly lush and beautiful valley, San Pedro, and visit Europe’s only coffee plantation, Finca Los Castanos. 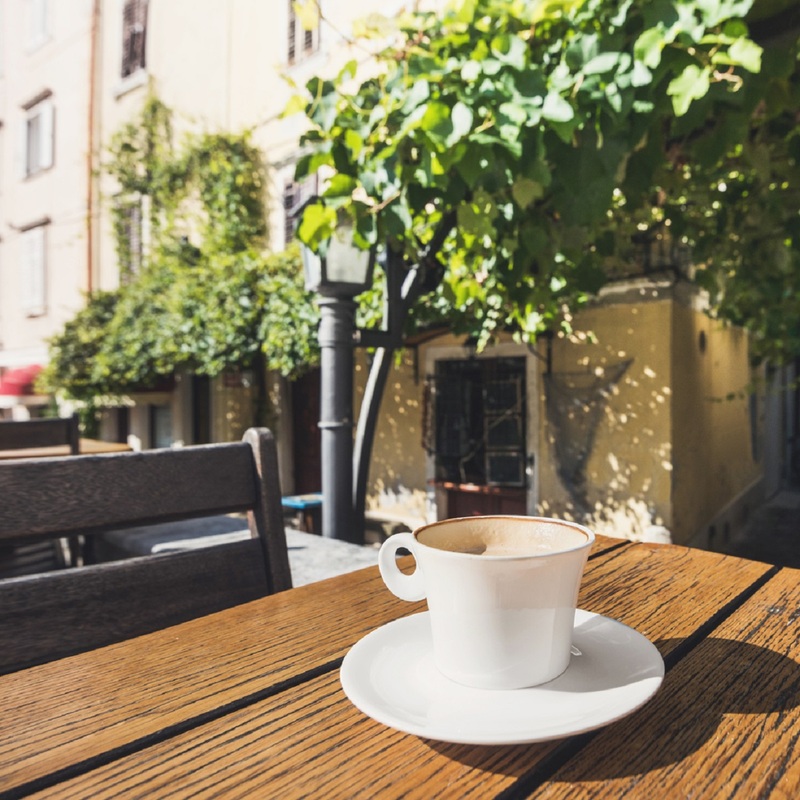 Cultivated in a traditional way, Agaete coffee is unique in Europe for its taste and quality. With a production limit of 4,000kg a year, Agate coffee is a greenish-yellow colour and smells like green fruit. The 90-minute tour will show you how the coffee is produced.